Smith and Wesson .32 Inert round with unstruck primer, oil filled. .357 Magnum, Winchester round, nickel plated with lead head. 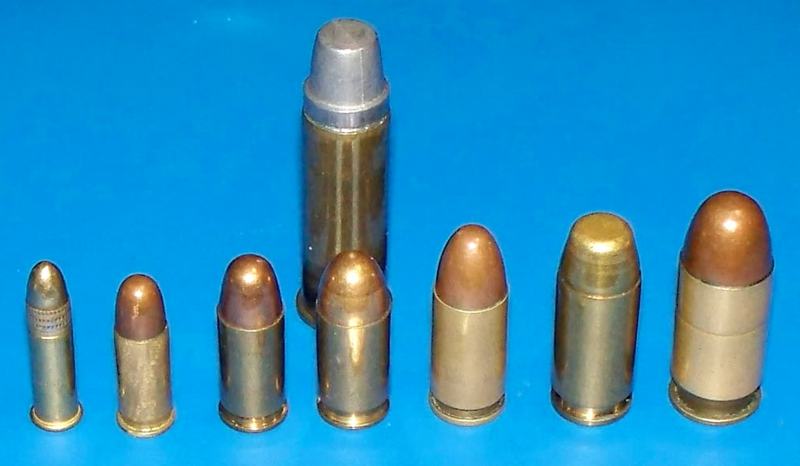 .38 S+W Inert round. Very good condition. Nickel case with lead head.